Car accidents and serious injuries are a fact of life in Virginia. Wherever you live in Augusta County, Waynesboro, or central Virginia, our personal injury lawyers in Charlottesville can handle every type of accident, including truck wrecks, tractor-trailer accidents, motorcycle wrecks, single car accidents, passenger injuries, wrongful death cases and pedestrian injuries. We are also experienced accident lawyers who have handled virtually every type of injury including traumatic brain injury, broken bones, amputations, back injuries, neck injuries, and most other serious injuries. We give every car accident case the attention it deserves. You will not be just a number or another case in the pipeline of some factory law firm. This we promise you, our client. Here are some useful tips if you are ever in a car accident. 1. Stop and stay calm. You should not leave the scene of the accident even if it was just a very minor collision. If you can, you should pull over to the side of the road and avoid obstructing traffic. 2. Check for injuries. Call 911 and make sure everybody gets medical attention. If you think you have any kind of injury, seek medical attention. 3. Contact the police or have someone else do it for you. You should make sure that a police report is completed. The report may be important if the driver of the other car or truck ever tries to claim that they were not responsible for the accident. 4. Get as much information as possible at the scene of the accident such as witness names and addresses. If you cannot do this, have someone else write down the names of witnesses and notes as to what they saw. 5. Make sure you see your own doctor after going to the emergency room. When you see your doctor, make sure you tell him or her that you were in an accident and how it happened. 6. 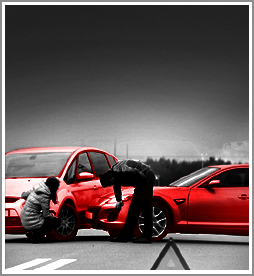 Notify your insurance company that you have been in an accident. You may even have medical payments coverage that will assist you in getting your medical bills paid promptly. 7. Do not sign any statements for any insurance companies and do not provide any statements to insurance companies before contacting your experienced car accident lawyer. We hope you are never in a car accident, but if you are, take the right steps to protect yourself and your loved ones. Contact the experienced auto accident lawyers at the law firm of Wilson & Hajek. Personal injury lawyers in Charlottesville serving Augusta County, Waynesboro, and all of central Virginia.